Armie Hammer charmed our socks off with his intimate portrayal of Oliver, the young and lust-struck student, in Call Me By Your Name. But to call his character gay would be leaving out a fairly big part of the film, namely (spoiler) that he rejects young Elio (Timothée Chalamet) to marry a woman the audience never meets. Well for his next feature film, Hammer will play actual gay writer James Lord, known for biographies of artists like Picasso and Giacometti. It’s his friendship with the later that is the subject of Final Portrait, the new film by Stanley Tucci. 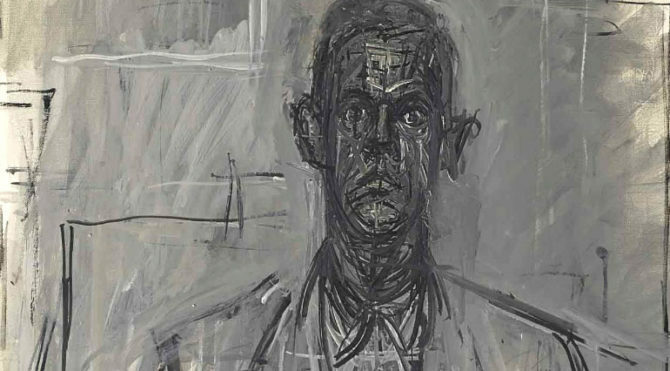 Lord (Hammer) posed for Giacometti (Geoffrey Rush) over the course of several sessions, and the film fictionalizes these meetings. I wasn’t a big fan of Hammer but he’s kinda making me feel interested about him. Yea, Hammer is a terrible actor but he does have a pretty face. SUPERB actor….AND a pretty face . Well crap. The spoiler warning wasn’t big enough OR far enough from the actual spoiler for me to have caught it before I actually read the “Call Me By Your Name” spoiler. 🙁 Queerty, please put a spoiler warning in the title of the article. It’s actually my favourite movie. Timothée was amazing. Hammer was horrible. leobaga, don’t be a hater just because you want Timothee. 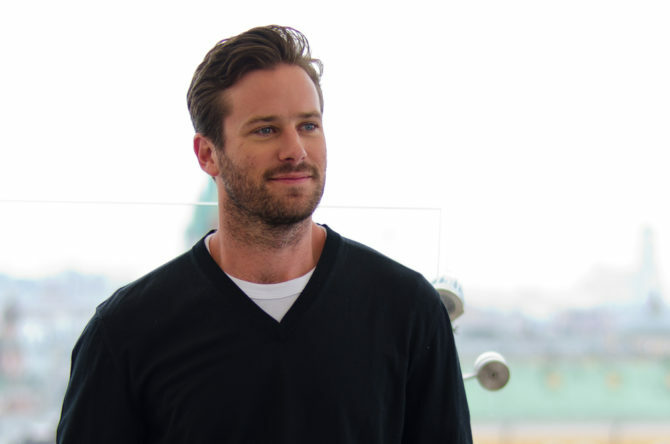 Yeah I totally have a love jones for Armie Hammer since finally seeing Call Me By Your Name a couple weekends ago. The man is 6’5, very handsome, and that voice of his would make me drop my drawls. Timothee was definitely worthy of all his best actor nods. He was AMAZING in that film, but even if you weren’t as impressed with Hammer’s overall acting in the movie, he was a great partner that allowed Timothee to shine. The chemistry between them in that movie was so authentic and that can’t be one sided. So you have to at least give Hammer props for that. Trailer looks pretty boring. Gonna pass on this one. I love that they are making this movie. Now the next step is to have movies mirror real life and have lgbt characters in some major blockbusters. I mean come on…we’re supposed to believe that Captain America has been thawed out for years and has never gotten a new girlfriend, and doesn’t date and is just an innocent gentleman? Yyeeeaaahhhhhhh, I seem to remember, Clay Aiken and Ricky Martin’s fans used to say the same thing. People don’t go to the movies for real life. Captain America isn’t about dating. AT LAST…Great Gay movies! “Call Me By My Name” AND “Gods Own Country” ( the British Brokeback Mountain, with a happy ending) have been outstanding. Lets hope there is more of these movies instead of gays gone psycho! So tired of movies portraying gays being killers or killed!! These two films alone are must haves and totally BRILLIANT. I just watched the gay French film “BPM (Beats Per Minute)” and it was good and worthy of a watch. I won’t buy it though. It’s about “ACT UP PARIS” and their fight against the drug industry. The best part was the love between two HIV men who met ant the ACT UP meeting. Their loyalty to one another at the darkest point was heartbreaking. GOOD but another sad gay flick. I saw God’s Own Country, it was also very good! Haven’t seen BPM, thanks for the recommendation! Armie is attractive but boring to me at the same time. Like watching a perfectly rehearsed musical but it lacks the emotion. Bland but pretty. I’m a fan. Sue me. I have the best lawyers.